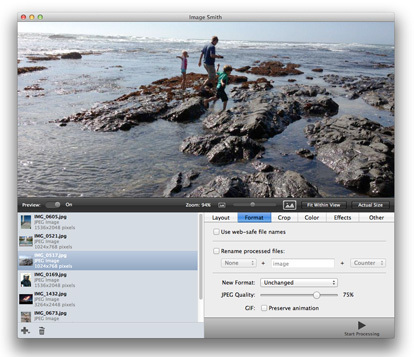 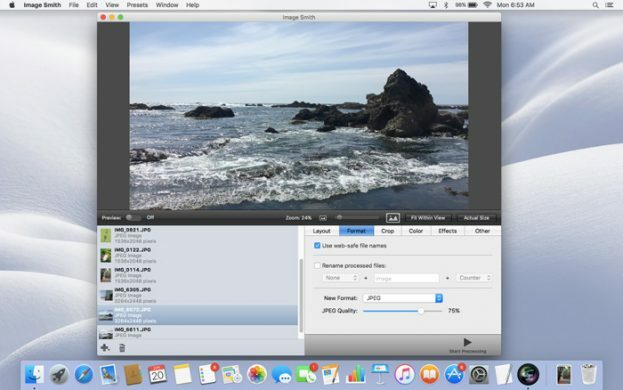 Image Smith is a powerful batch image processing tool (meaning it can handle a ton of pictures all at once!) 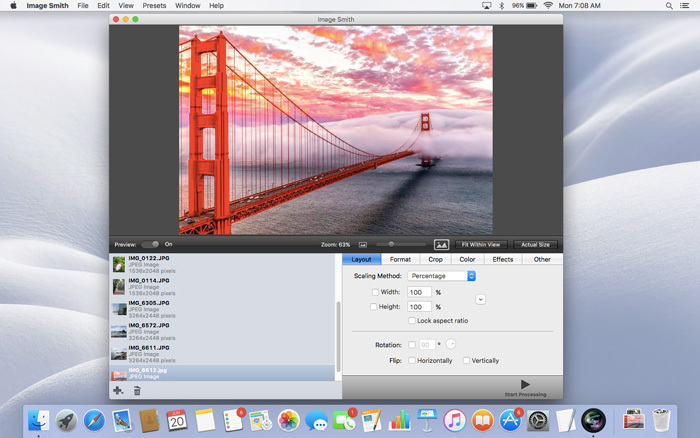 with a variety of features you can use to easily scale, re-orient, re-colorize, convert, rename and flatten images. 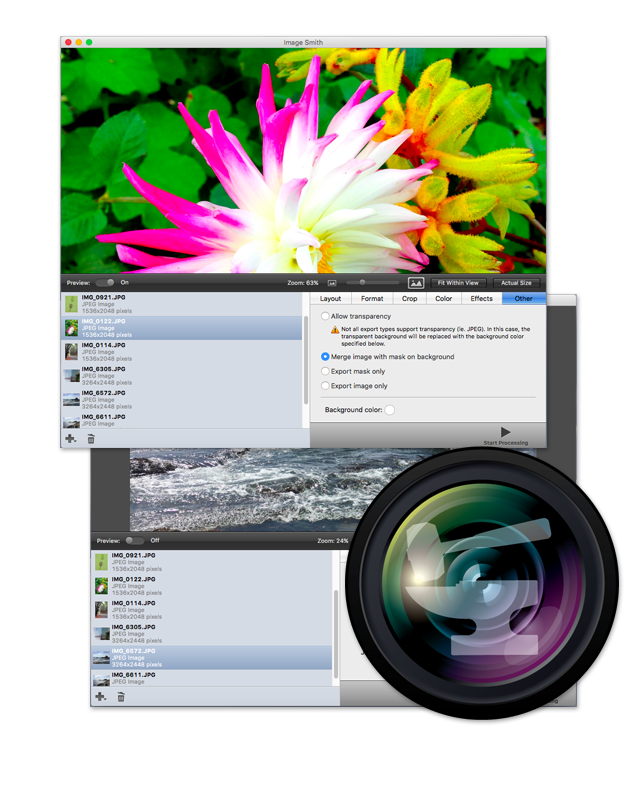 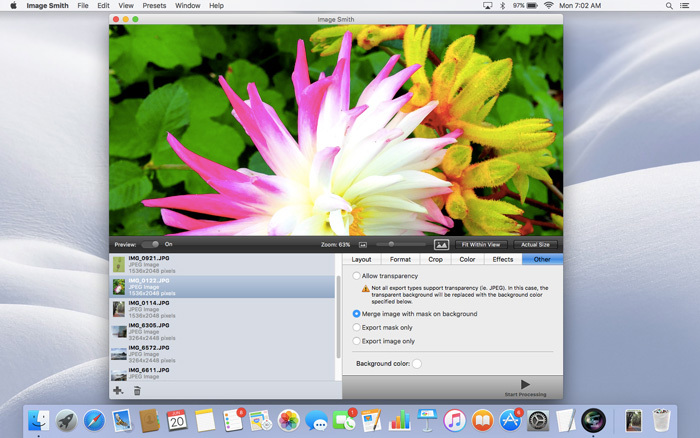 Image Smith can open a variety of picture file types, and output in popular industry standard formats including JPEG, GIF, PSD, TIFF, PNG, BMP, and more. Supports Mac OS X 10.7 through Mac OS X 10.10. 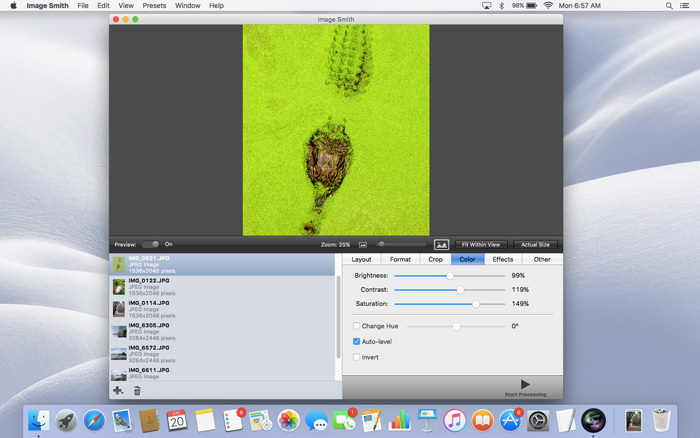 Process a ton of images all at once. 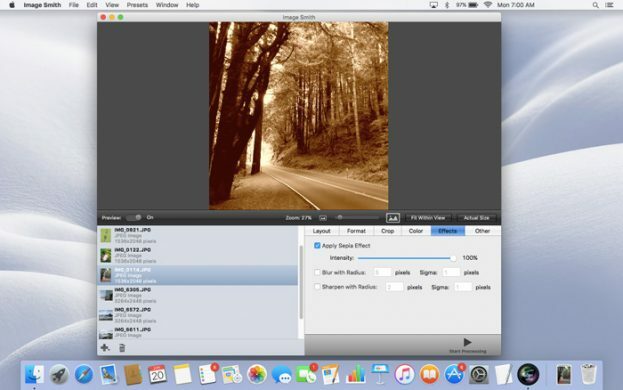 Tired of wasting countless hours converting and editing your pictures? Editing a large number of images is a time consuming, mind numbing repetitive process if you don’t have an application like Image Smith to do it for you – in a fraction of the time!